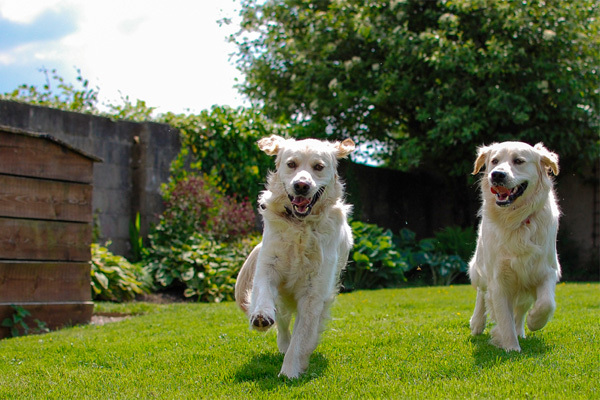 If you are both a dog parent and a gardener, you know that it can be a challenge for dogs and gardens to happily co-exist. But, it doesn’t have to be this way. There are many things you can do to maintain a beautiful garden, a happy pup and your sanity all at the same time. 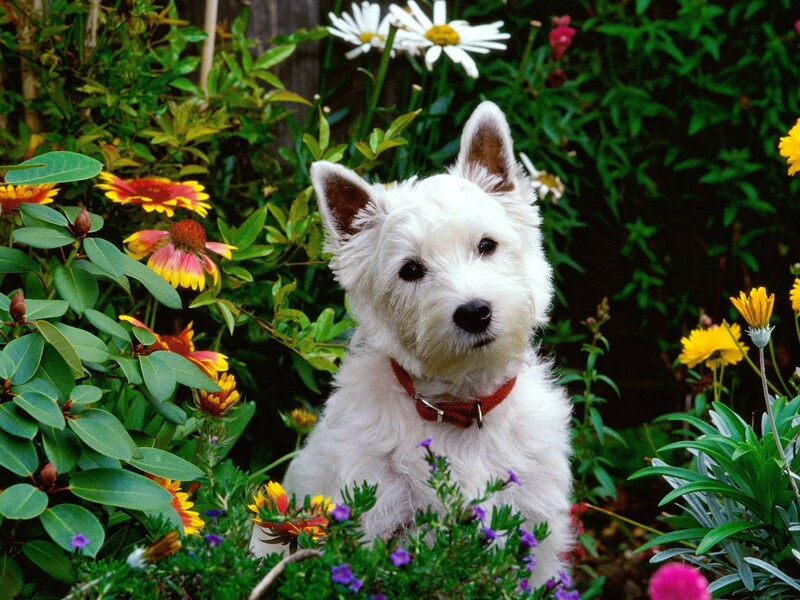 Keep reading for tips on creating a dog friendly landscape. Grow herbs that repel fleas such as lavender, rosemary, and mint. Avoid thorny plants such as roses in places where your dog frequents. Save these ornamental beauties for areas the dog will not access. Use organic fertilizers such as Espoma Plant Tones and Lawn Fertilizers to boost your plants and lawn turf. Edge flower beds with rocks or bricks to deter pets from invading gardens. Better yet, plant in raised beds to keep Fido out. Instead of trying to train your dog to use new paths, create walkways in areas that your dog already travels. In addition, plant your gardens in areas that are not the dog’s regular pathways. In the heat of summer, dogs need cooling shade. Make sure there is a shady tree or umbrella to shade them from the hot summer sun. Also, provide an easily accessible water feature that they can drink from and/or play in. Sometimes our fun loving canines like to dig up plantings within days of when we placed them in the soil. Though maddening, this is actually a high compliment. Ever mindful of your activities, your dog is watching each handful of dirt you unearth. If he sees you gardening, he will soon mimic your technique. As you begin to shape good canine garden habits, keep your dog inside while you’re planting and tending to your plants. If he enjoys digging, your dog will likely always relish the feeling of the earth on his paws. If this is the case, you’ll need to provide a dog-friendly digging pit – a small area (think sandbox) filled with sand, dirt and/or pine mulch where you encourage him to “Go dig!” Do this during playtime to encourage his enthusiasm. If he stares at the digging pit and gives you the “huh?” face, try burying a bone, toy or treat and, if necessary, get down on your knees and dig with him! Eliminating and marking can also cause some issues in the garden. Try giving your dog his own area away from your tomatoes and prized flowers. Center his new elimination area around a physical structure or tree, or erect a decorative stone or even a faux fire hydrant. Take your dog to the new area on leash in the morning or when you take him out after a separation. Wait to offer your hugs and greetings until after he’s gone potty, and discourage your dog from going near your beds by calmly redirecting him should he venture near. Your dog may have some energy to burn in the mornings and after a separation. Play with your pup and/or take him for a walk before he goes out in the garden. A dog that has had some attention and activity is more likely to be content and not get into trouble. Afterwards, you can do your gardening as your dog takes a nap.